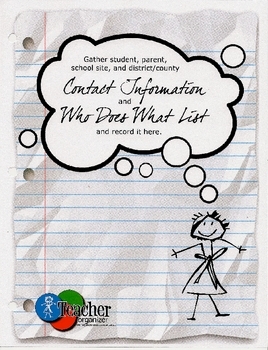 The Contact Information and Site Emergency Pages are sections six and seven from The Essential Teacher Organizer Kit. The Contact Pages provides a place to record all essential student, parent and staff addresses, phone numbers and emails. The Who Does What pages highlight essential personal you will need to be able to locate and contact throughout the school year. 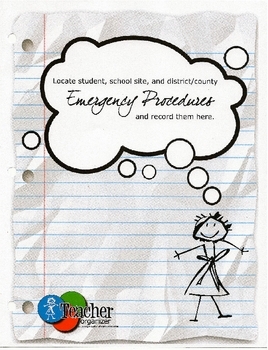 The Emergency Procedures page provides a place to record site related procedures for various emergencies in addition to providing a specific place to house emergency documentation for your classroom or school site.